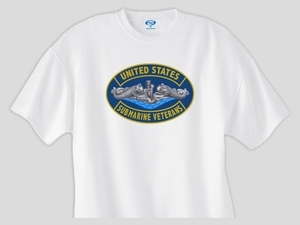 Our USSVI Insignia T-Shirt is far better than the usual scan of a patch. We have taken the original graphic and completely re-drawn the insignia from scratch. Careful attention has been taken to accurately create this new exclusive artwork in brilliant color at the highest quality possible. You won't believe the clarity of the image. The shirt is a 6.0oz ring spun polyester Intera fabric with superior wicking performance and anti-microbial characteristics. The fabric will never yellow or shrink but, has the look and feel of cotton. For detailed sizing information, please Click here. 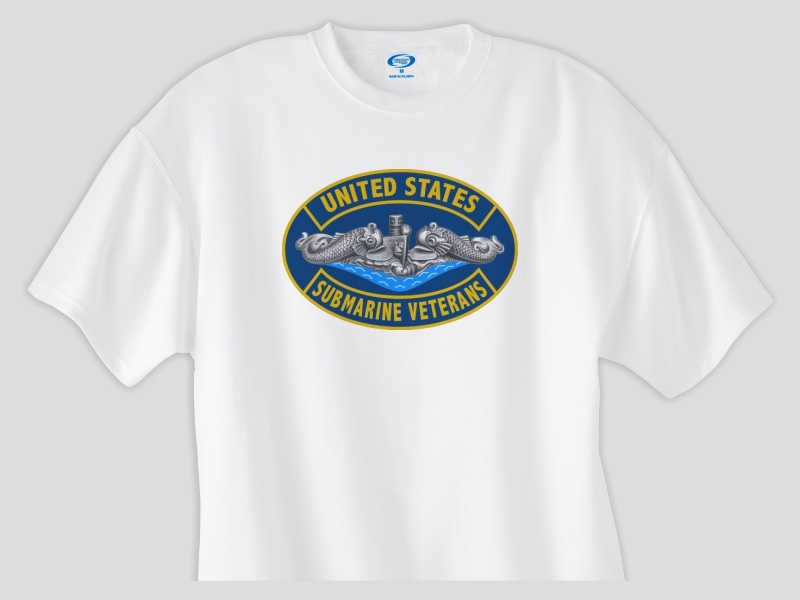 We individually print each shirt to order in Cumberland, Maryland using the latest state of the art printing methods. Unlike most shirts available, the ink is extremely bright, color accurate and stable.